Unique design, dual-purpose wash mitt. • Soft, scratch-free micro-fiber surface works great with Sudzz Car Wash (#1355). 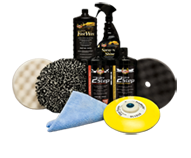 • Unique polymer coating on reverse side removes surface contaminants such as water spots, tree sap and more with Spray ‘N Shine (#1309). • Wash mitts have a smooth glide, are easy to handle, work fast and achieve great results. • Available in Fine and Medium grades to meet your preference and specific vehicles’ needs. 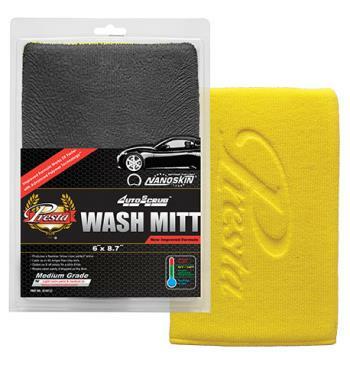 • Wash mitts last up to 4X longer and work 3X faster than clay bars so they are a great alternative. • If dropped on the floor, simply rinse clean. I tried the Autoscrub Wash Mitt as directed and it works awesome! The car is three years old with 25,000 mile and very well cared for so the paint was in good condition in the first place but better than new after a quick rub down. I recommend the autoscrub mitt to everyone I see.